This fully revised and updated third edition of Scottish Genealogy is a comprehensive guide to tracing your family history in Scotland. Written by one of the most authoritative figures on the subject, Scottish Genealogy is based on established genealogical practice and is designed to exploit the rich resources that Scotland has to offer. 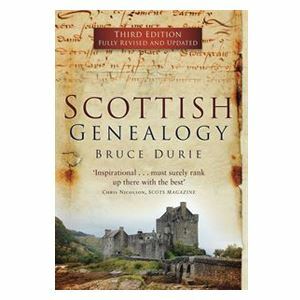 Informative and entertaining, Scottish Genealogy by Bruce Durie is the definitive reader-friendly guide to genealogy and family history in Scotland.